The Jewish identity is closely aligned with music – from the traditional liturgical chants and nigguns, to the more modern Jewish inspired secular music – Jews and music have become an integral part of cultures around the world. Jews and Music: From Cabaret to Broadway and Beyond will touch upon some highlights of diversity in the music of Jews. 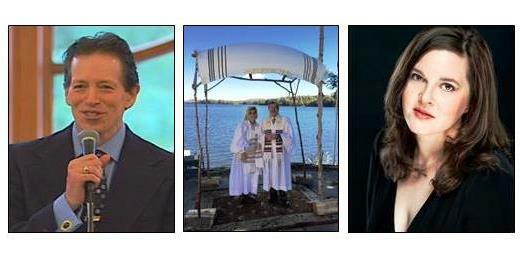 The selections chosen by vocalists Dr. Kenneth Stuart Blatt, Sylvia Eowyn Bloom, Rabbi Monte Sugarman and Rabbi Anna Rose Sugarman give us a taste of both the Judeo-spiritual as well as the mainstream in which Jews have been notable. Performers and musical accompanists Michael Clement and Allen Mossman are professional musicians with a varied range of career paths that have enriched their lives and musical performances. This stirring program of musical diversity presented by Saratoga Jewish Community Arts and sponsored by Congregation Shaara Tfille and Temple Sinai with a generous grant from the Jewish Federation of Northeast New York will be presented on Sunday, Jan. 8, 2017, 3:15pm, at Congregation Shaara Tfille, 84 Weibel Avenue, Saratoga Springs. Dessert reception will follow. $10 donation requested. RSVP: 518-584-8730, opt. 2, or for more info: www.saratogajewishculturalfestival.org or on Facebook.